These days, the talk surrounding mobile devices is really heating up. With the explosion of Android devices and the ongoing substantial growth of the iPhone showing no signs of slowing down, many folks are constantly looking at their options. 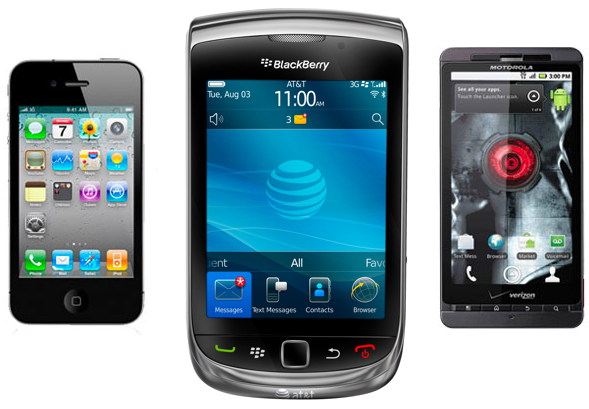 Be it, switching from Android to iPhone, iPhone from BlackBerry to webOS or however else you really want to look at it, people are making choices and changes on what they want from their mobile devices. This area is certainly going to expand as well. Windows Phone 7 devices are soon to arrive and many are waiting to see what is in store for them as consumers there. One thing that has really been a focus of some media outlets is the supposed influx of people deciding to leave BlackBerry in an effort to seek out more. While it is true that many users appear to be heading away from BlackBerry devices, one often forgets to look at the information about how many of those users once gone, actually come back to BlackBerry devices after spending time on other platforms. Each day, the CrackBerry forums fills up with users proclaiming they are either leaving BlackBerry for another platform or, they have just arrived back from another platform and are proclaiming what they missed about their BlackBerry devices. Now, being a multi platform user myself, I can easily say the grass is not exactly always greener on the side of the fence. For some though it is and that's quite alright as people SHOULD be buying devices based on their needs rather then what they think is cool. But often times this isn't the case. Often times, people will buy what they think they need or want rather then face then reality being that they really do not need all the bells and whistles that some other devices offer.